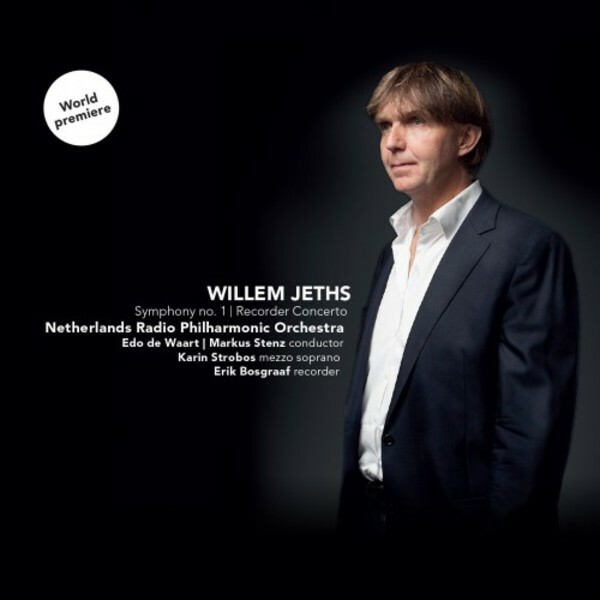 World premiere recordings of a pair of orchestral works by leading Dutch composer Willem Jeths, featuring two world-famous conductors - Edo de Waart and Markus Stenz - with the Netherlands Radio Philharmonic Orchestra. Following his Symphony no.1, the virtuoso Erik Bosgraaf is the soloist in the Recorder Concerto. Jeths, born in 1959, had written an opera, three string quartets, eleven solo concertos and a large number of orchestral and chamber music works before attempting the most important genre of the orchestral repertoire. In fact, his is not a traditional symphony in the classical-romantic sense, but rather a piece with four movements themed around the cycle of life, death and transformation. Just under 45 minutes in length, the Symphony consists of one single build-up of tension in which its musical and philosophical aspects - the opening and closing vocal movements incorporate poems by Goethe that revolve around the cyclic dimension of existence - are seen to be all interconnected.